Situated just steps to Tyrone Foreshore and a very easy stroll into Blairgowrie Village, sits this picture perfect and beautifully maintained property on a level garden allotment of approximately 840 sqm. Tastefully renovated with a crisp white interior, this home is a first class merger of lifestyle and location. Privately set behind high double gates, the entrance leads you into a spacious open plan living with OFP, dining and kitchen with gas cooking. Accommodation comprises Master with BIR's and ensuite, and a further 2 good size bedrooms with BIR's, central bathroom and separate laundry and toilet. A lush coastal garden setting welcomes you into this well designed property including a north facing paved and fully covered alfresco area perfect for winter and summer entertaining on a large scale whilst still providing plenty of garden area for the kids to play. 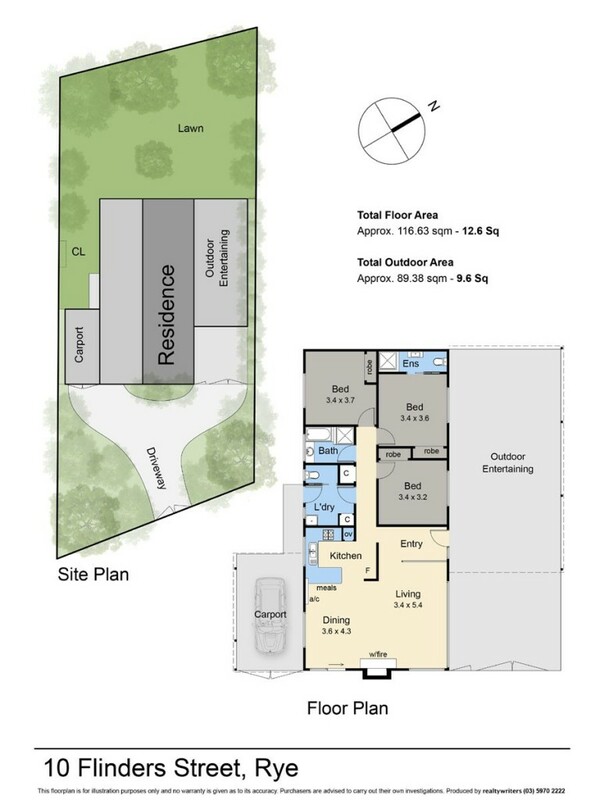 Also included is gas wall heater, split system air, open fire place, second covered carport plus extra OSP. If you are looking for low maintenance living, single level dwelling and walking distance to the beach and shops, then this is the perfect property for you.